For those unaware of the term — as I was until age 12 — agnosticism is the belief that metaphysical ideas, such as the existence of God, remain unknown to humans. Although often confused with atheism, agnosticism is different than both atheism and organized religion in the sense that it neither accepts nor rejects that there is a god, and simply states there may or may not be one. Despite deciding to raise their children in an agnostic household, my parents were active in their respective faiths growing up. My dad grew up practicing Reform Judaism and attending temple, while my mom grew up practicing Protestantism and attending church weekly. In the end, it was my mom who decided to raise my brother and me without an organized religion. Every year, a little before Christmas, my family flies to Texas to visit my mom’s side of the family. 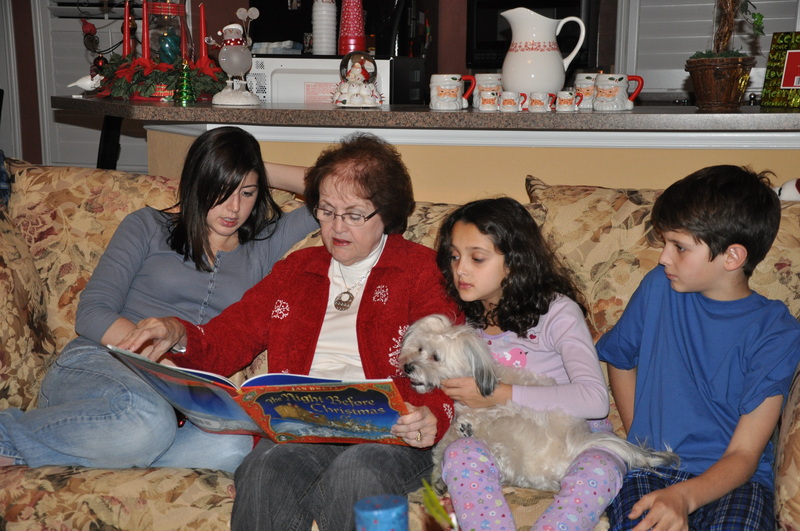 While there, we decorate a Christmas tree, make Christmas cookies, exchange gifts on Christmas Eve, and my grandmother reads “The Night Before Christmas.” It’s a time to eat, play checkers, and enjoy each others’ company. Although Christmas has no deeper religious meaning to me, it one of the only times each year that I get to see that part of my family, making it all the more important. Generally, after Christmas we fly to Nevada to visit with my dad’s side of the family, however, because the nights of Hanukkah move around, we are not always with them to celebrate. Instead, we have our own little make-up celebration where we light the Menorah, eat a healthy amount of margarita pizza, and spend time together, often going out to eat in one of Las Vegas’ many hotels. My brother and I visit with our dad’s parents for Hanukkah. This was what my parents wanted for their children. “We wanted to expose you to the cultural aspects of religion, and the positive fellowship aspects, but not get involved with any specific religion,” my dad stated. My mom explained, “We help our relatives celebrate their religion, similar to how we help them celebrate a birthday.” Growing up I learned that holidays, although important, are less about the holidays themselves, and more about the people we get to visit while celebrating. This is what being agnostic around the holidays means to me. Although I do not attend church or synagogue, or see any religious importance in either Christmas or Hanukkah, both are important to my family because they bring us together. As we see divisiveness all around us this year, whether it be religious, political, or familial, it is important to remember that the holidays are a time to bring people together. Are You Really “So OCD”?